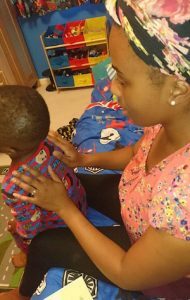 Story Massage for babies is proving very popular as way of parents bonding with their babies and toddlers. Natasha Hamlet from Mini Me Jamboree recently won our Story Massage Best Practice Award for her work with parents and child groups in Leeds. 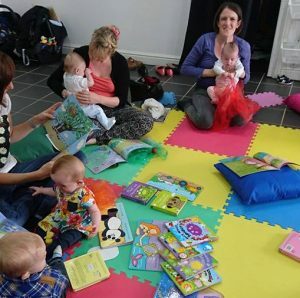 She finds that adding the sensory element of Story Massage makes parents, babies and children feel calm and relaxed. 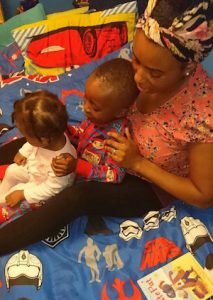 Natasha, who is one of the first to run Story Massage sessions in Leeds, now teaches this technique to parents attending her Story Massage workshops at Sensory Space Leeds. 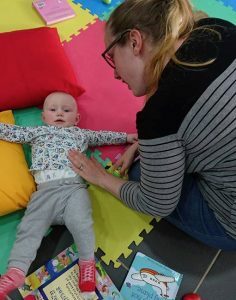 “Mummies and babies absolutely love it, and the holding position works really well for little ones who don’t want to sit still for a massage,” says Natasha. “Mind you, some babies are quite happy to lie still and really enjoy gentle Story Massage strokes all over their body!” she adds. 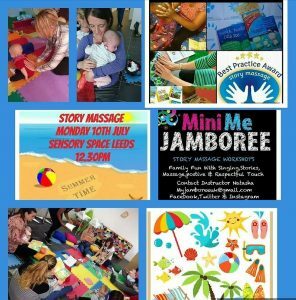 Natasha runs monthly themed Story Massage workshops at Sensory Space Leeds for parents and babies and toddlers under 24 months with sensory stories, songs and rhymes. The sessions run for 30 minutes with a maximum of 10 parents. 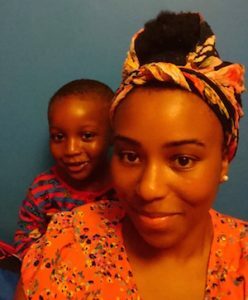 Natasha also runs groups for pre-schoolers and private sessions for parents of children aged 0-5. 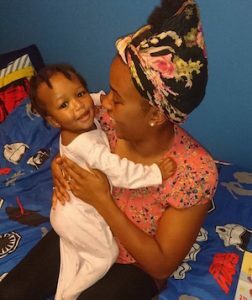 The main reason for sharing Story Massage with other parents is that Natasha has found it so beneficial at home, not only with her baby but also with her 4 year old son. Hello, my name is Sandra and I live in lee on solent – Hampshire uk. I am very interested in the story massage and would like to do some training but it doesn’t look as if there is anything local to me. would you advise me getting the book to practise and get familiar with the signs and actions. Thank you for your message. If you are planning to use Story Massage within the family home then you could work from the book. This is available from our website on the Resources page. However if you are looking to share with others on a professional basis then it would be advisable to do the Story Massage course. 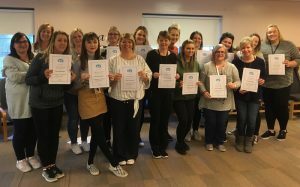 We have an on-line course available from September which may be suitable for you. So keep a look out for news of this on our Facebook page. Hope this helps.